High Pressure Drain Jetting - when Drain Rodding can't cope. Drain jetting involves the application of directional high pressure jets of water targeted against the blockage. This breaks up the blockage and blasts it away in smaller parts that can be easily carried away into the sewerage system. If you have already tried to clear a blocked drain using rods without success, then drain jetting will usually clear the blockage unless there is a more serious underlying problem. If this is the case we will discuss the options on dealing with it. 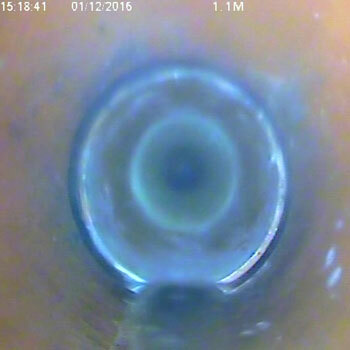 We can carry out a CCTV drain inspection that will allow us get a view from inside the drain to identify the cause of the problem. 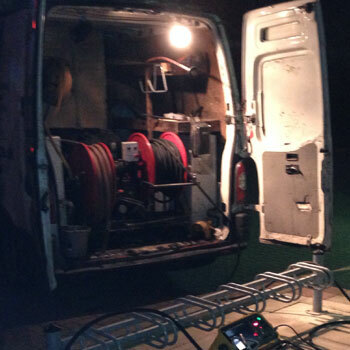 Our vans are equipped with specialised equipment and we provide a high pressure drain jetting Water Jetting Association accredited training service. Drain jetting is an effective method for dealing with blockages as well as being an ideal option for giving drains a spring clean. Our operatives have undertaken specialised training accredited by the Water Jetting Association to carry out drain jetting. If you have a blockage and need drain jetting in Doncaster or the surrounding areas of South and West Yorkshire call us today. It's free from a landline and we'll advise on the best course of action and deal with it promptly. Ask us about commercial drainage preventative maintenance plans.